14k White Gold Solitaire Engagement Ring | Shane Co. This lovely engagement ring is crafted of quality 14 karat white gold features clean lines accented by a crisscross pattern on the profiles. 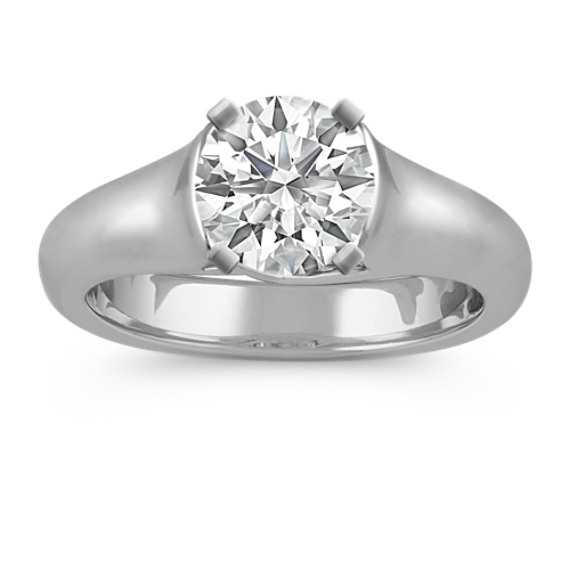 Complete this engagement ring setting with the center diamond of your choice. The ring measures 4mm wide and extends to 6mm at the widest point.